Your automotive news source for West Michigan and beyond. Chrysler's latest concept takes the idea of a pickup truck and then supersizes it. The new Dodge Ram concept is a full 24 feet of long-hauling power complete with a six-cylinder, 6.7 high output Cummins Turbo Diesel engine and six-speed Aisin AS68RC automatic transmission. 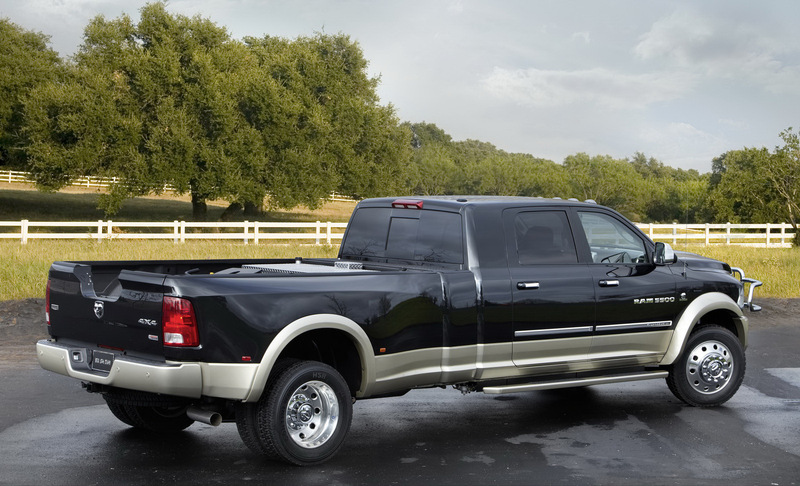 Designed for long-haul trips, this Dodge truck has a mid-ship fuel tank and full Kelderman air suspension. It has a 170 gallon fuel capacity, a result of possessing a second frame-mounted tank and a third (optional) bed-mounted auxiliary tank. The more luxury-oriented features included in the mega cab passenger compartment are leather seats, a DVD player with overhead screen, rear center console with refrigerator, cup holders and tray tables, a safe, wi-fi capability and a laptop storage area. The concept model will be toured around America for the next 8 months in order for Chrysler to gauge the public's opinion. What do you think of the long-hauler? More often than not, when you use service search terms these firms specialize in jobs appointing during my realm possibly work around my local area. Nothing at all is nope during this. Truthfully, near painful global financial eras travelers needs to be tiny bit far more powerful utilizing a assignment shop. Whenever you want to contemplate it, the reason that most guys need a purpose in the geographic area is actually easiness. It is somewhat convenient to work almost domestic since it will reduce problems, strains, but also money created by transportation. Prospect that are searhing for activities retaining during my domain is because definitely is nifty to remain dear to home assuming any type of critical internal crisis rears its ugly head. This is certainly to tell you practically of the classic benefits caught up once you have young children.